Yesterday night I arrived in Minneapolis, the motherland. Tonight, I followed Aaron's lead, and we ended up in a tiki bar. It was a move we would soon regret- it turns out we are too old to drink sweet rum drinks out of pineapples. There was a period of about a half hour when our entire party was unexpectedly drunk and slap happy, but it was downhill from there. The hangover resulting from "The One Eyed Willy" (my potent poison) set in about five seconds after the drink was gone. Sadly, by eleven-thirty we were all feeling weathered by the tiki bar experience and we were forced to surrender to bedtime. Don't get me wrong, the night was not a waste. There was lots of howling laughter. We may have been drinking like amateurs, but we are seasoned professionals when is comes to having fun. 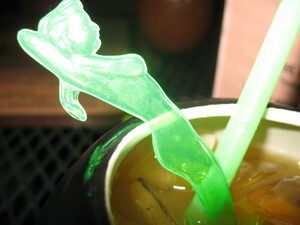 Here is a close up of the swizzle stick that came in my drink. Tacky, but cute. 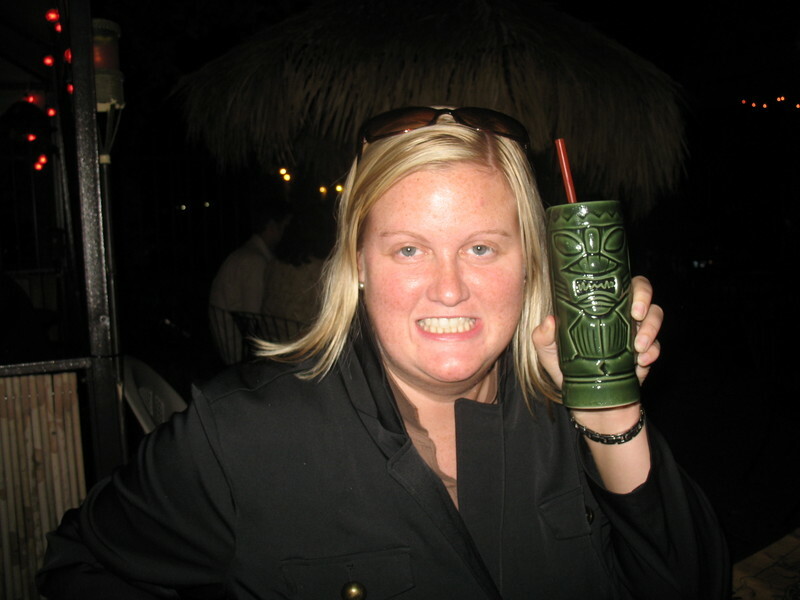 Tiki bar, you win. I'm out like trout. i love you guys. 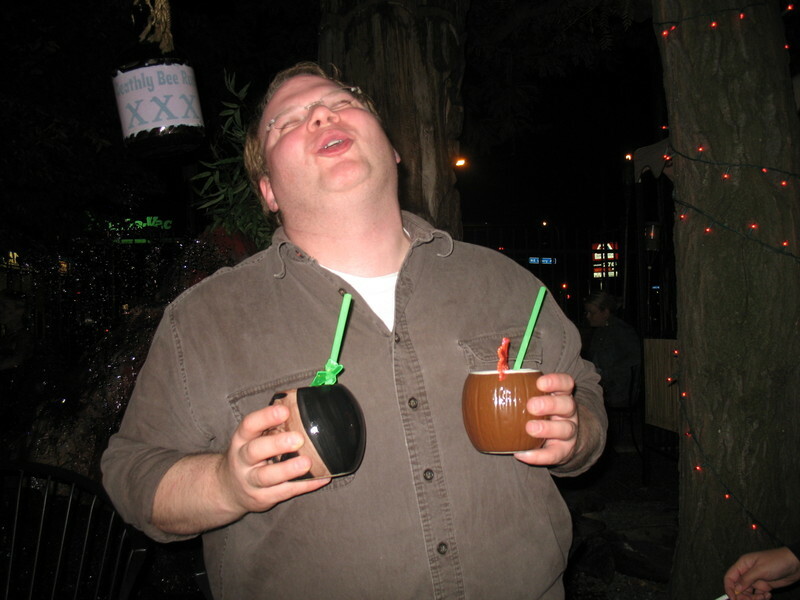 the best is pictures of people sucking on straws. there is no way one can look tough sucking a straw (or drinking a froofy drink for that matter). say hi to minneapolis for me, i went to a random gay bar there once and watched a terrible drag show. Hey! 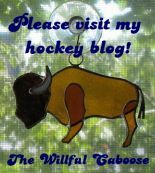 i just noticed you really did give me a huge shout out on your blog. Thanks for pimping me out, Kitty. it's ultra fun to write. Who is that charming bald man? Gasp! You went to Psycho Suzi's without me? Damn you, inconveniently timed European tour! Damn you to hell!